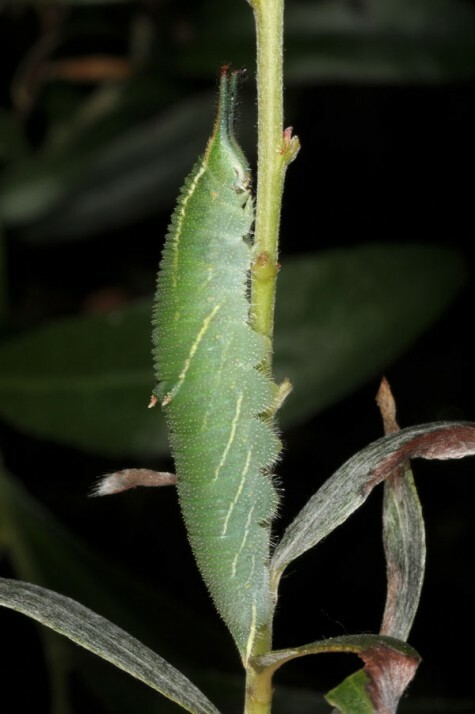 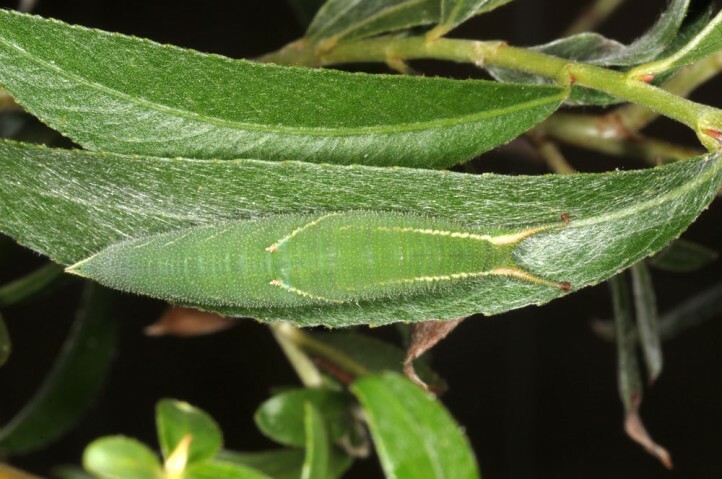 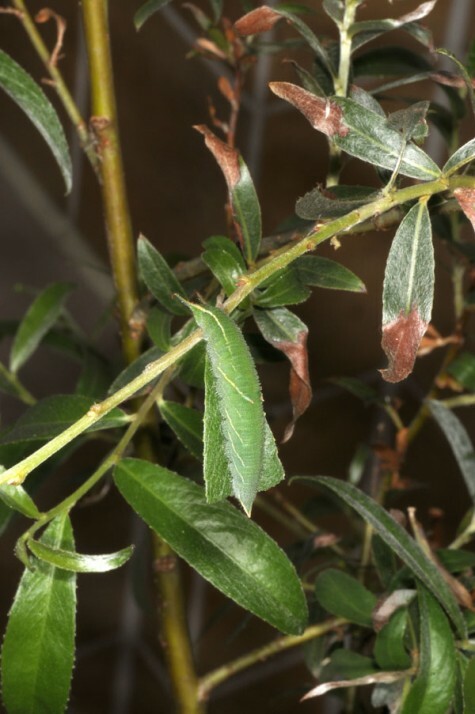 In Europe the larvae feed on Salix alba (perhaps also on related taxa as it is the case in E-Asia). 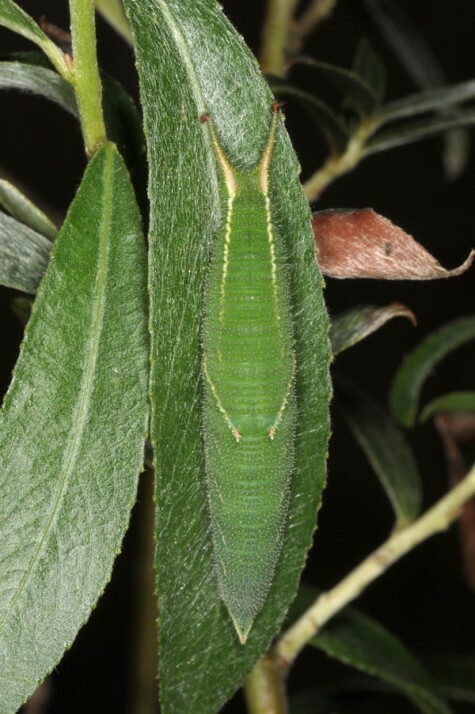 Apatura metis inhabits softwoods at riversides, lakes and other wetlands below app. 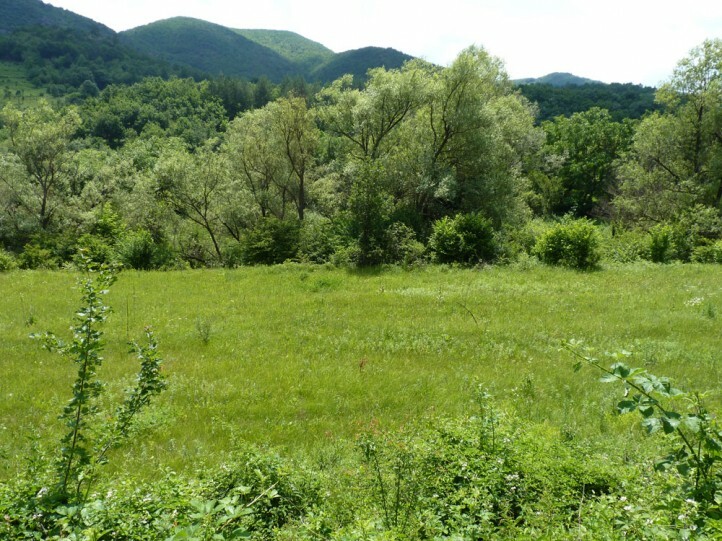 700m. 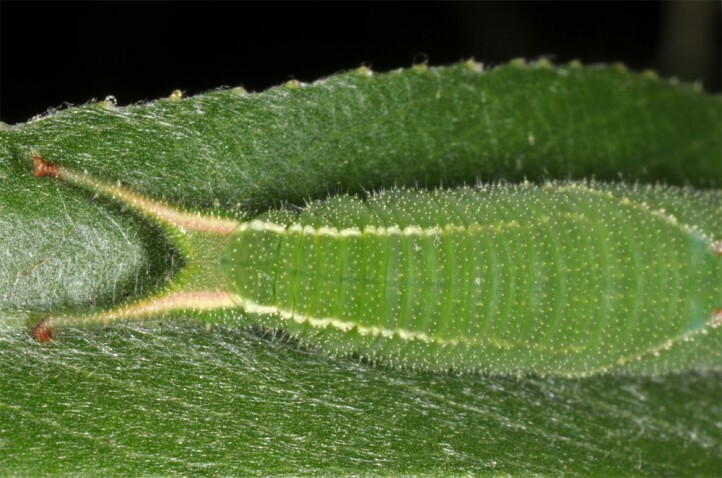 In Europe Apatura metis usually occurs in two generations between late May and late June and again from late July to early September. 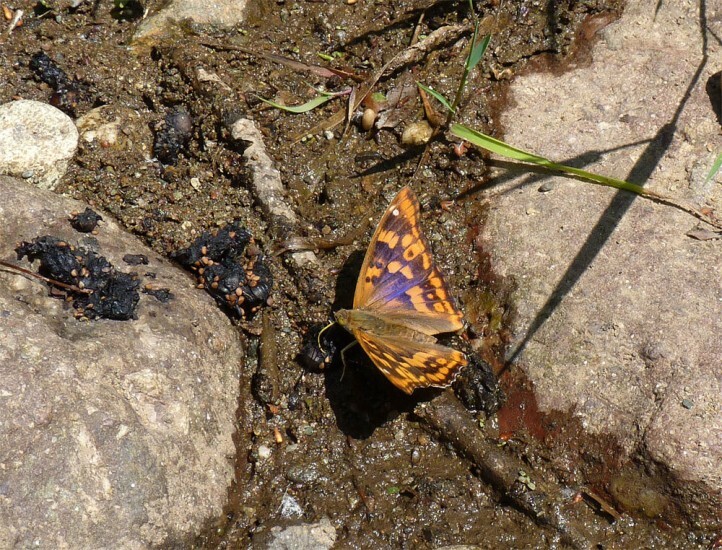 In S-Russia obviously only a single generation flies in June-July. 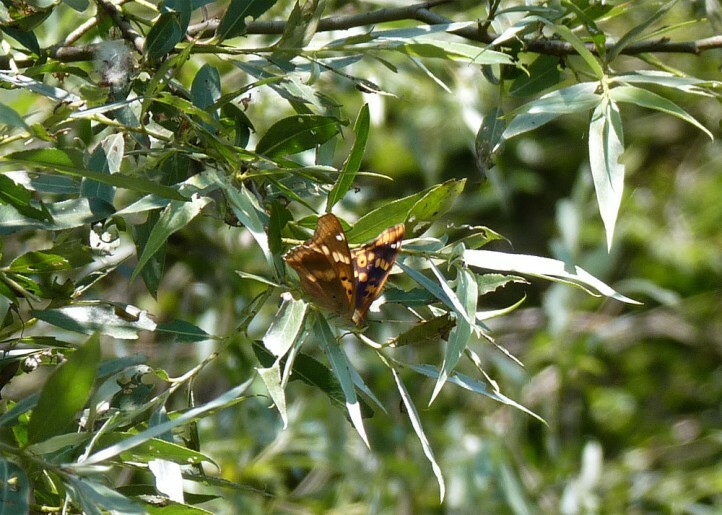 Probably the second generation is not always complete in SE-Europe, too. 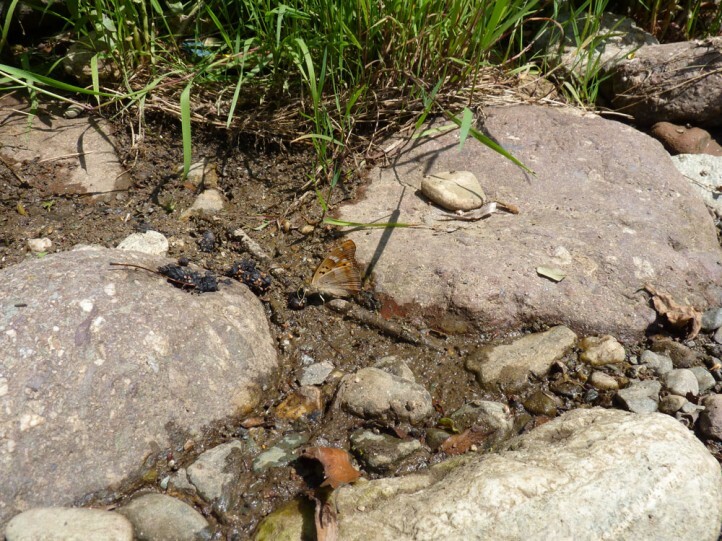 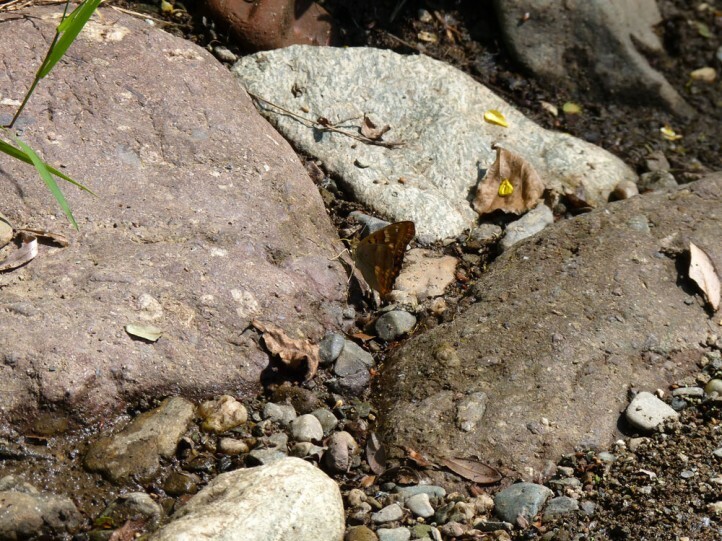 The butterflies are often found in quite large densities. 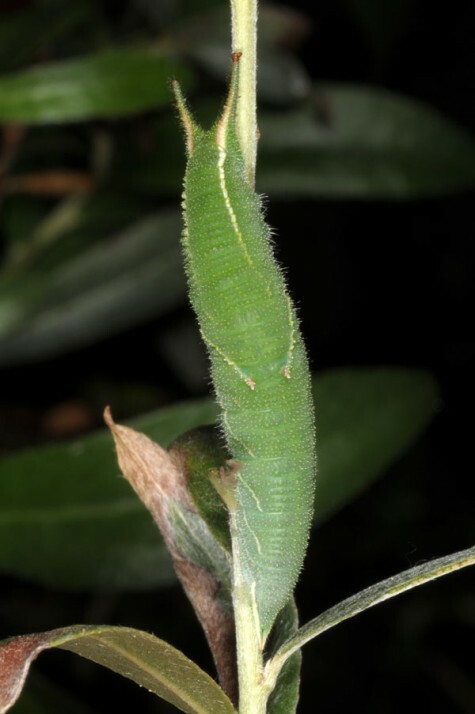 The males arduously patrol the Salix alba trees from near the ground to the tips. 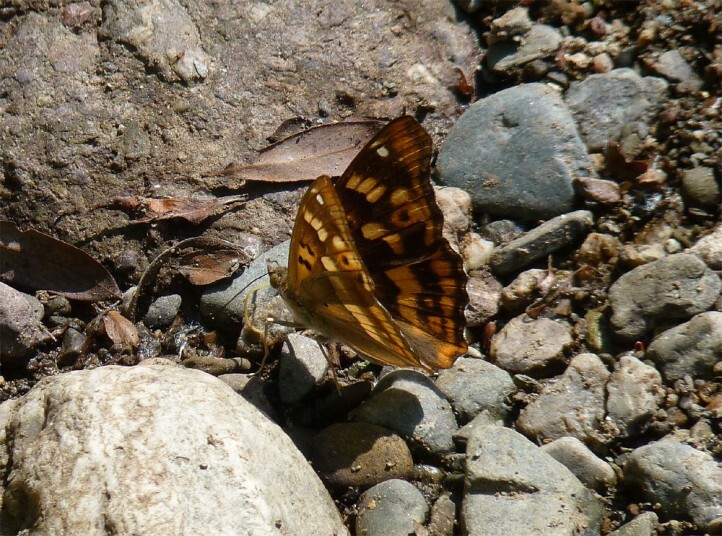 They rest for only short times on twigs, but are more often attracted to the river shores or wet platces on tracks where they feed on wet soil, excrement or carrion. 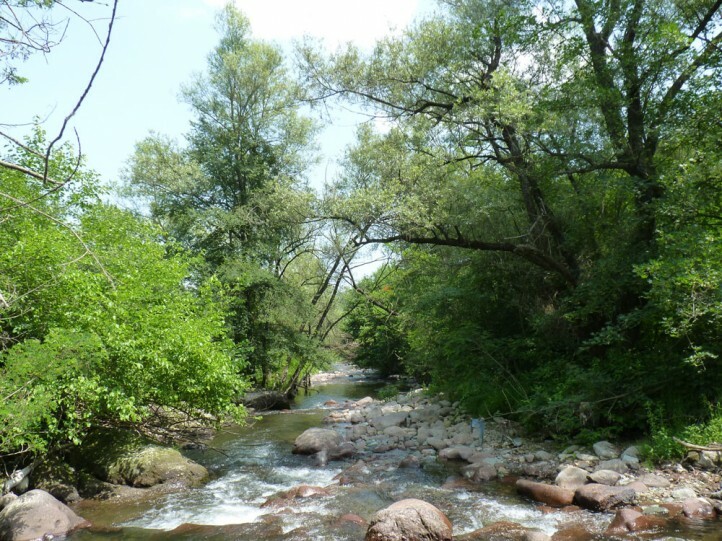 In NW-Bulgaria I observed the females ovipositing especially on those twigs that grew moist and sheltered directly above the water (app. 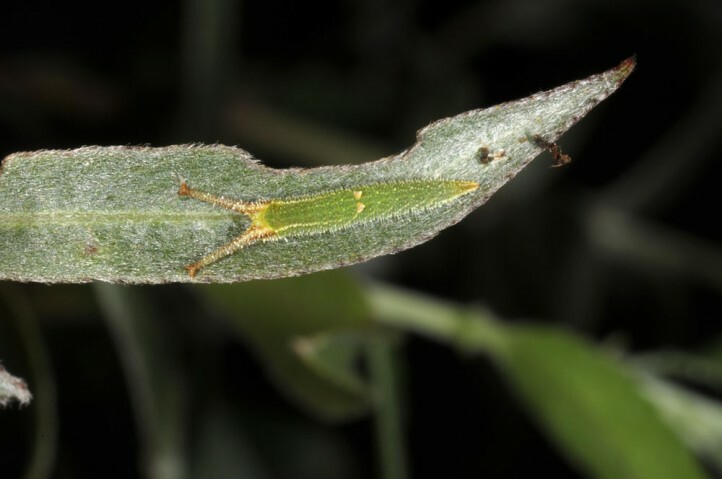 2-5m). 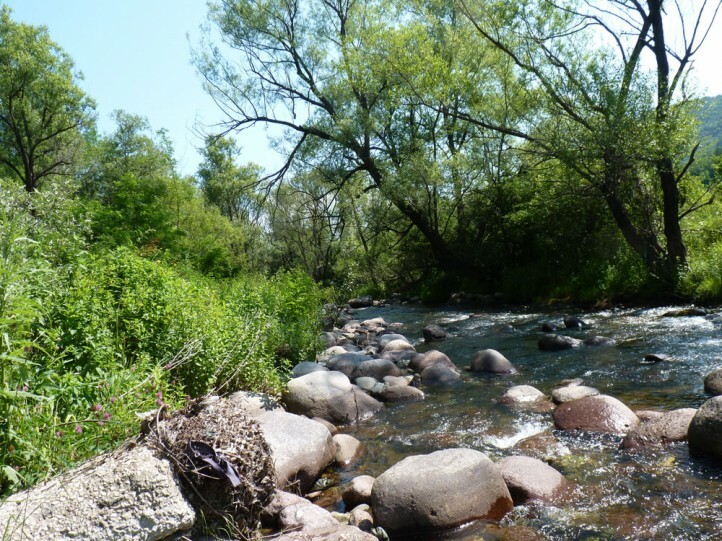 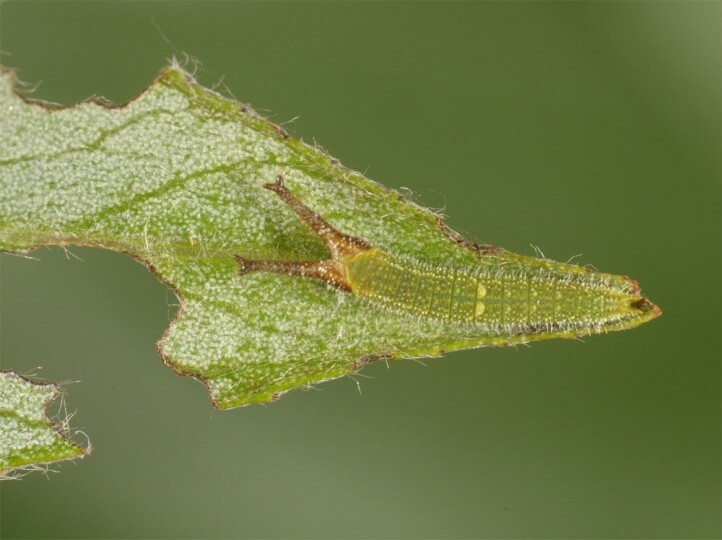 At these places higher concentrations of larvae occur as records of several empty pupal skins and one living pupa show. 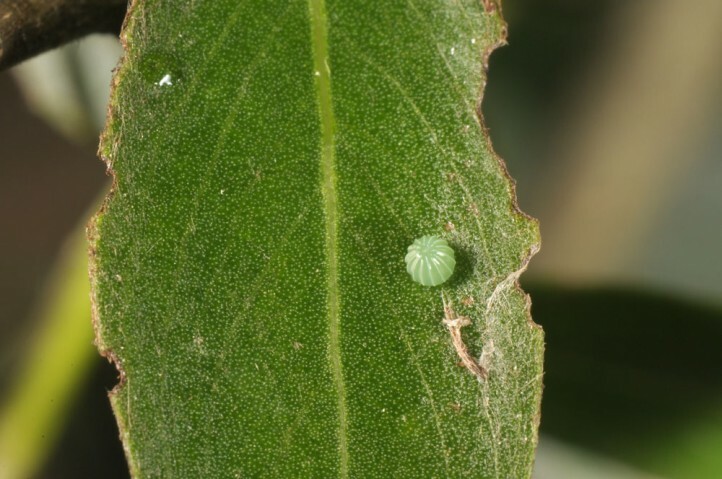 In the few accessible twigs I recorded a single egg on an upper side of a leaf. 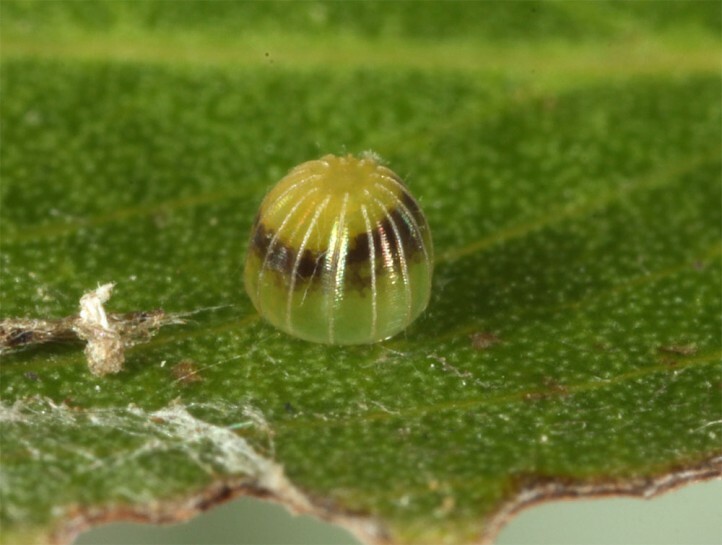 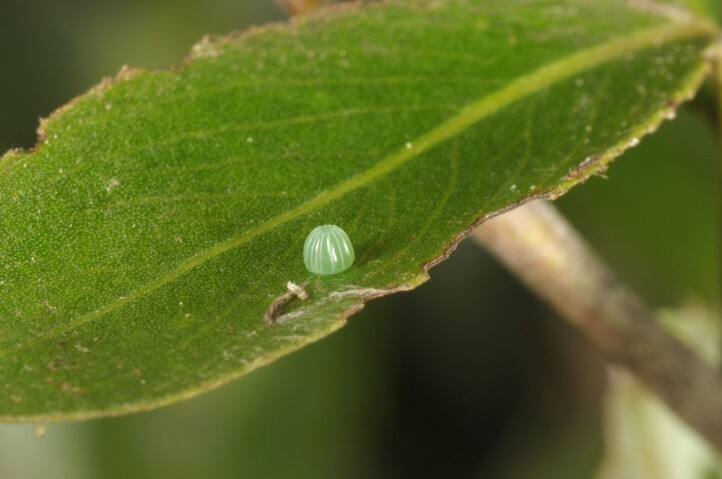 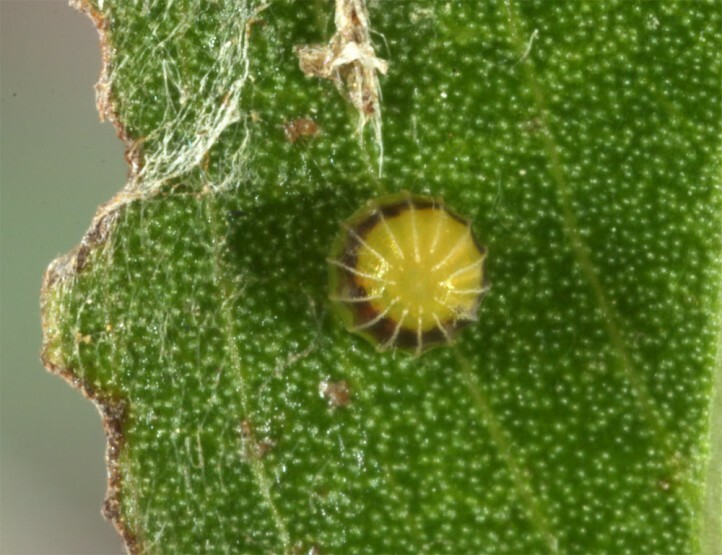 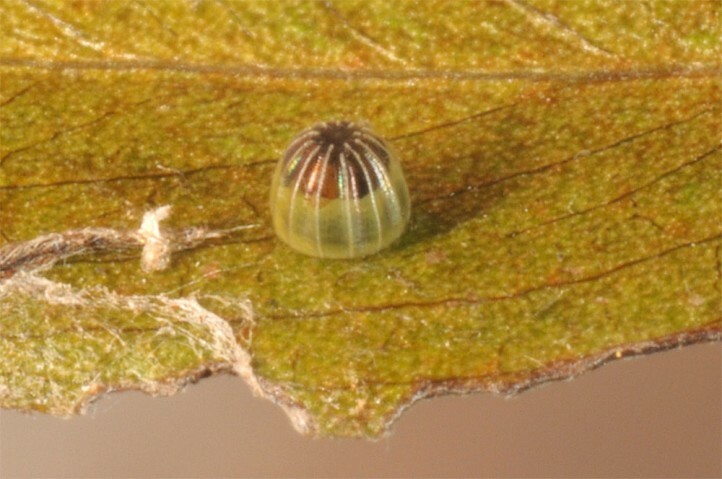 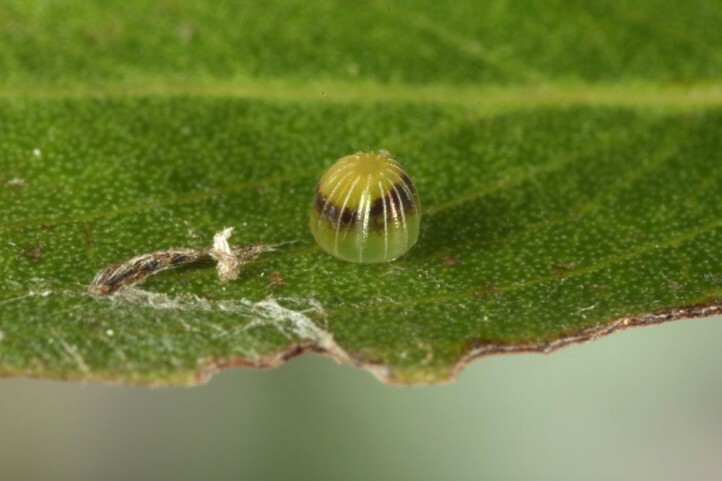 According to literature sometimes several (up to more than 20) eggs may be oviposited on the same leaf. 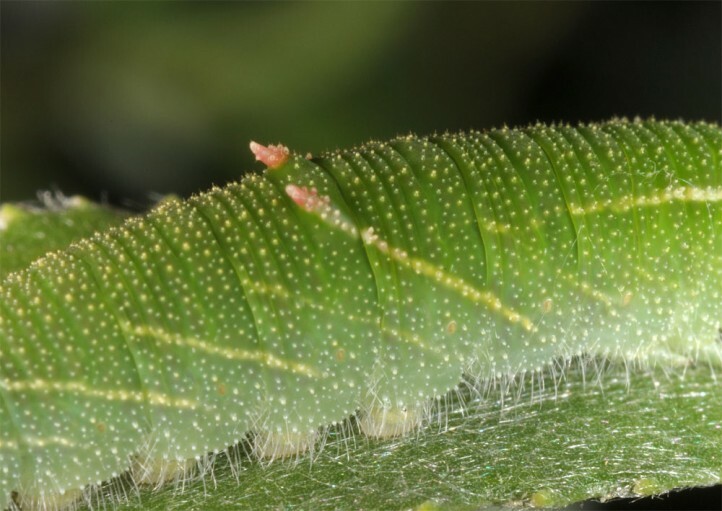 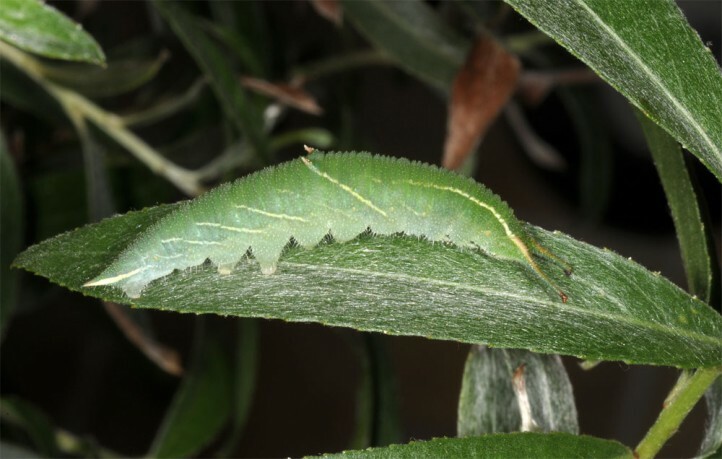 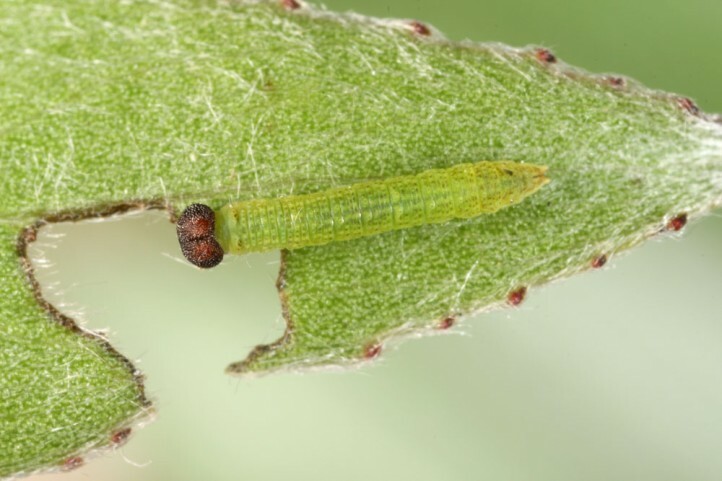 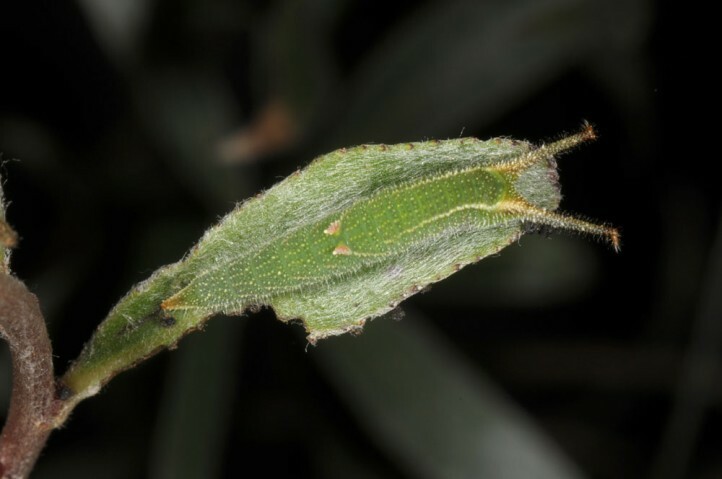 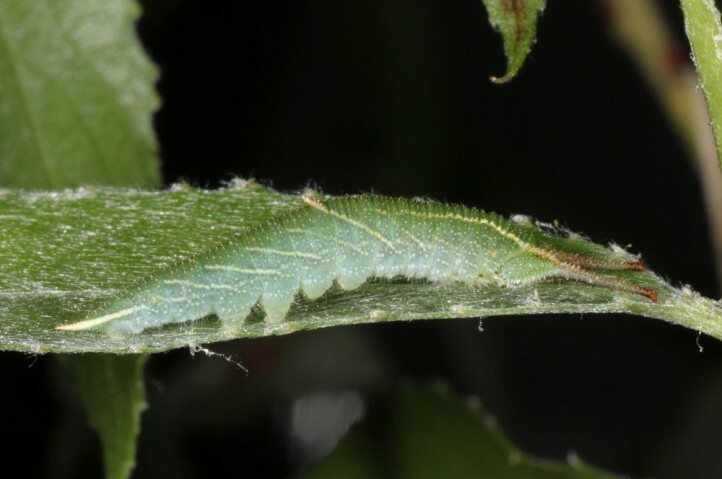 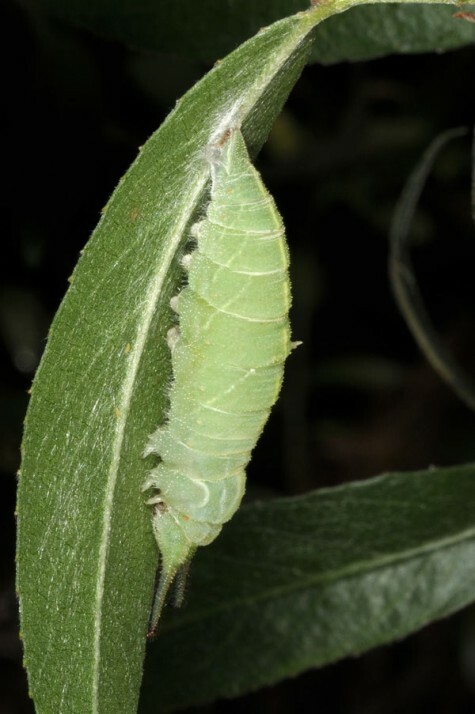 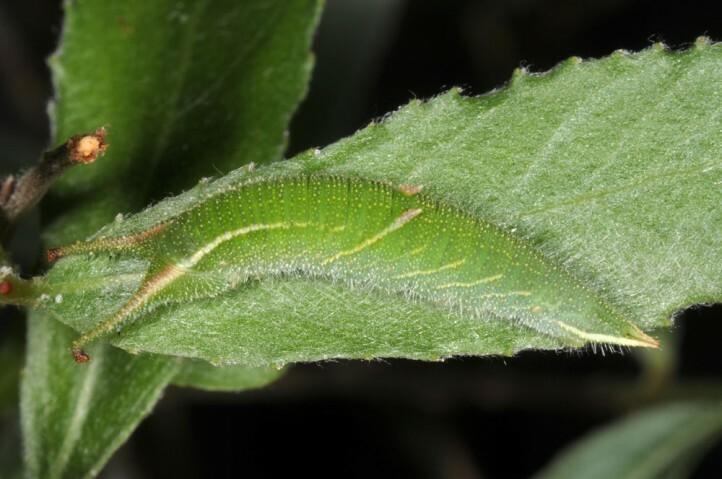 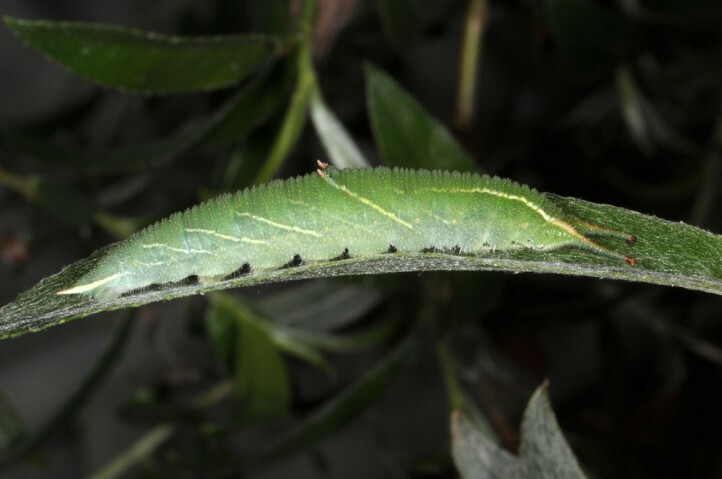 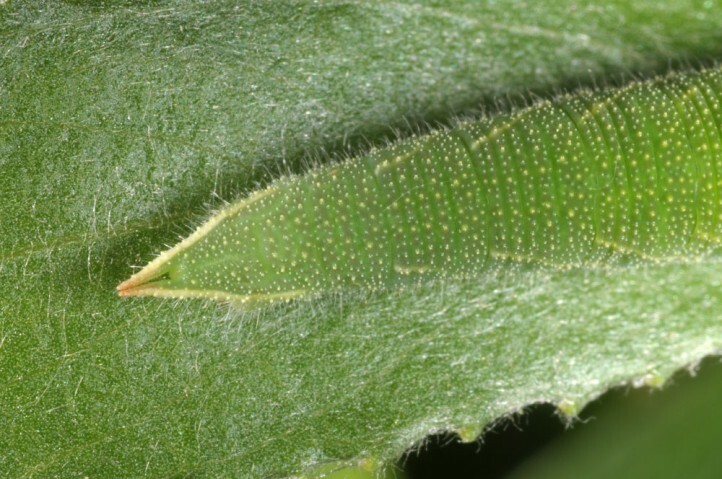 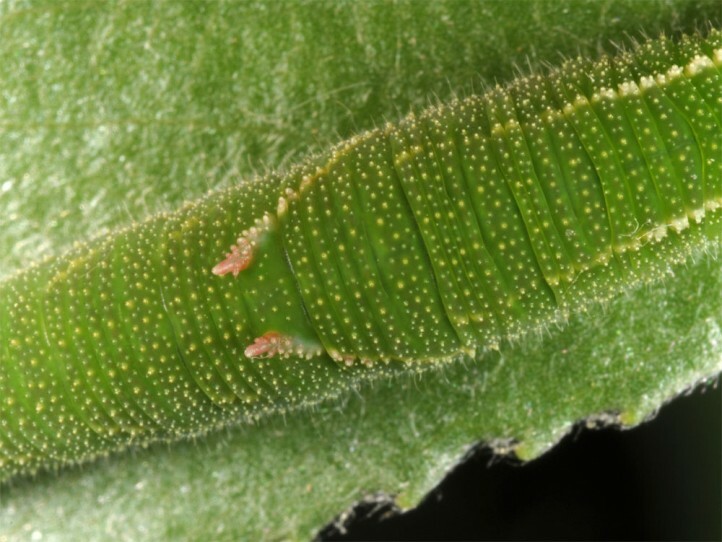 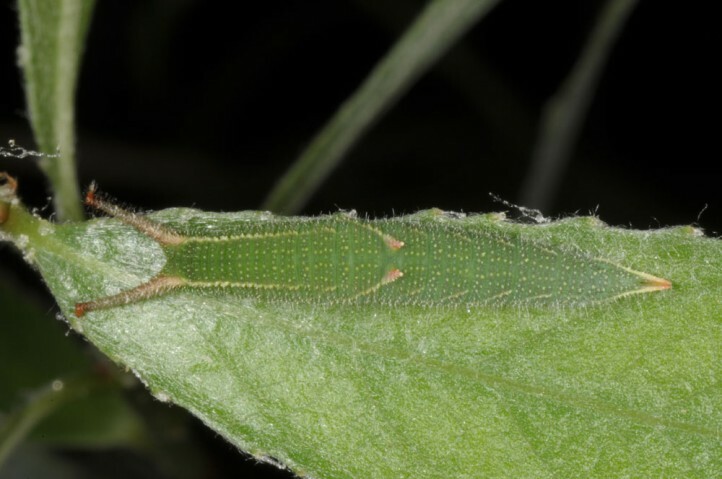 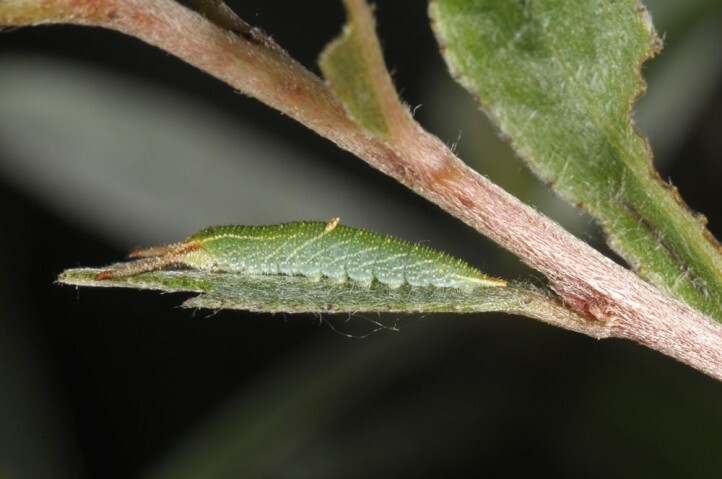 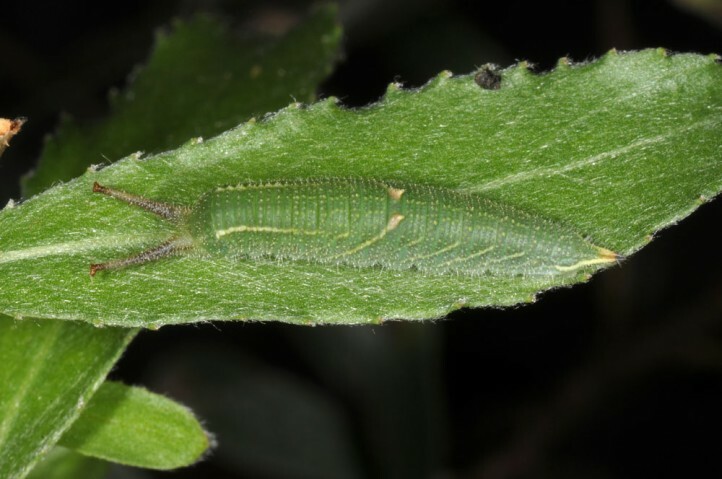 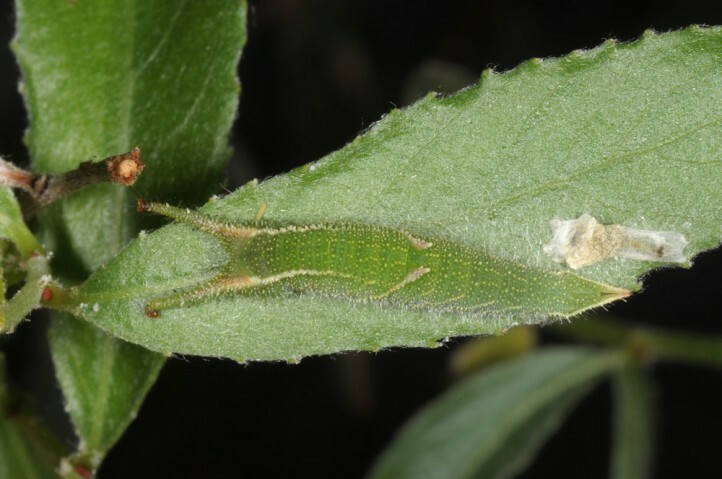 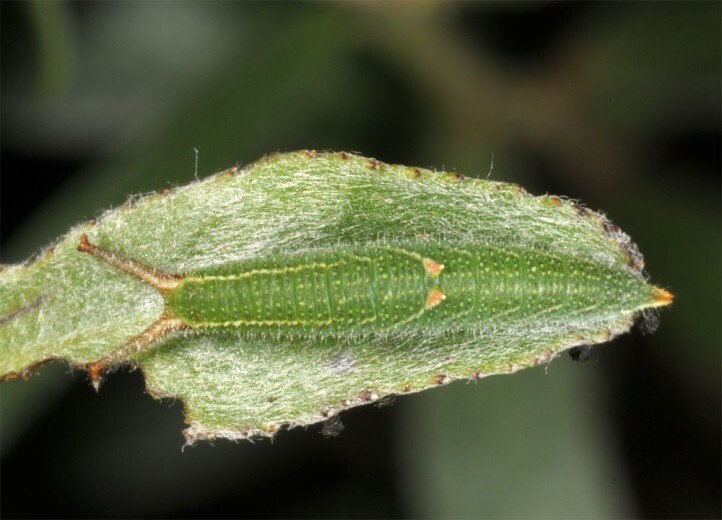 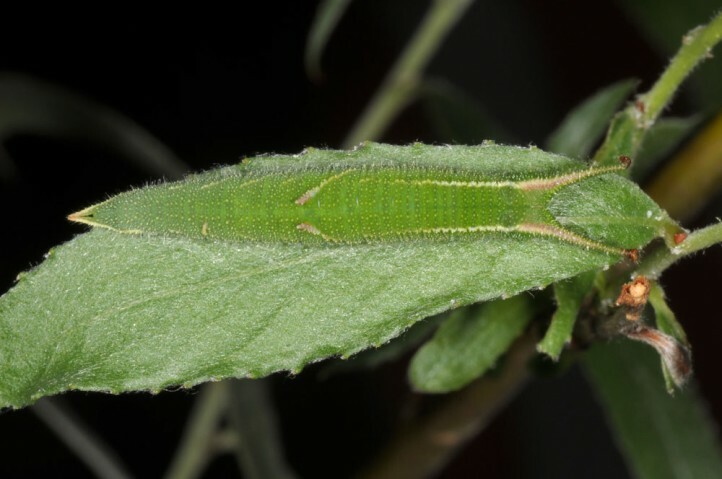 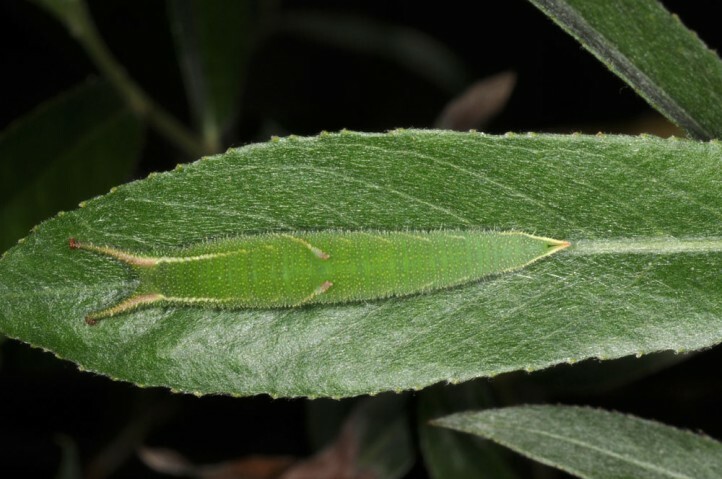 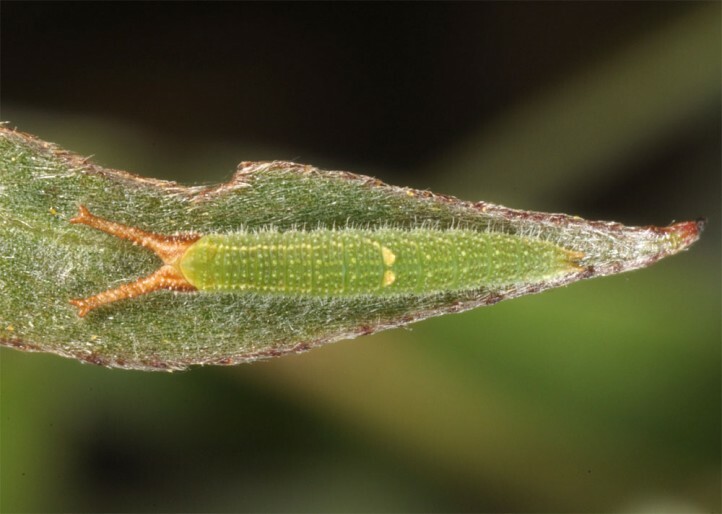 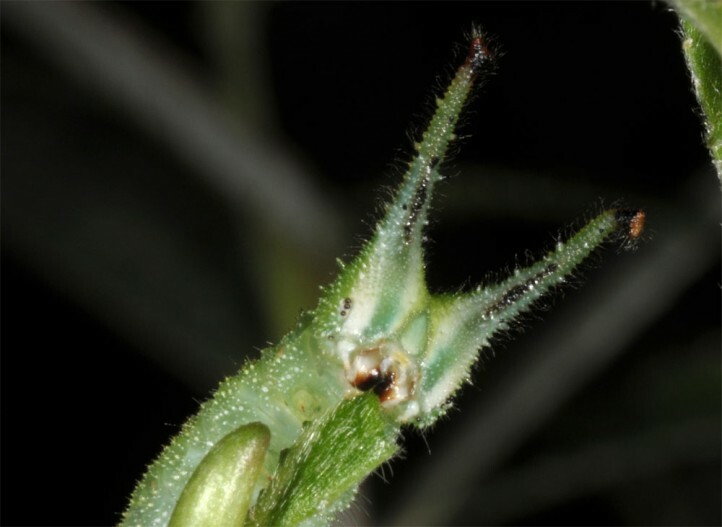 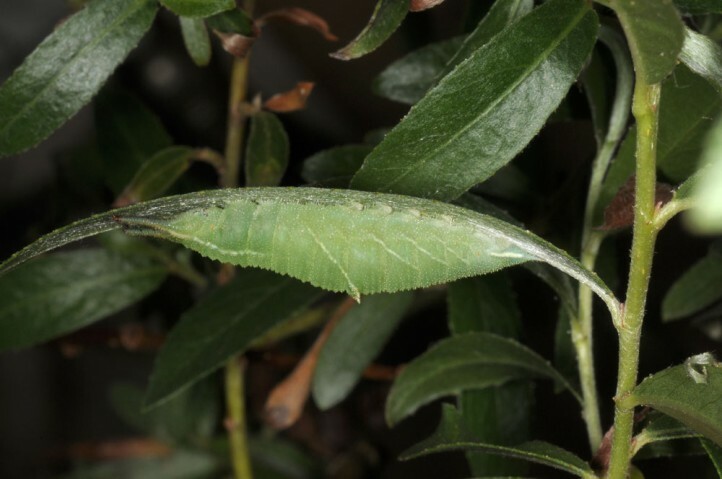 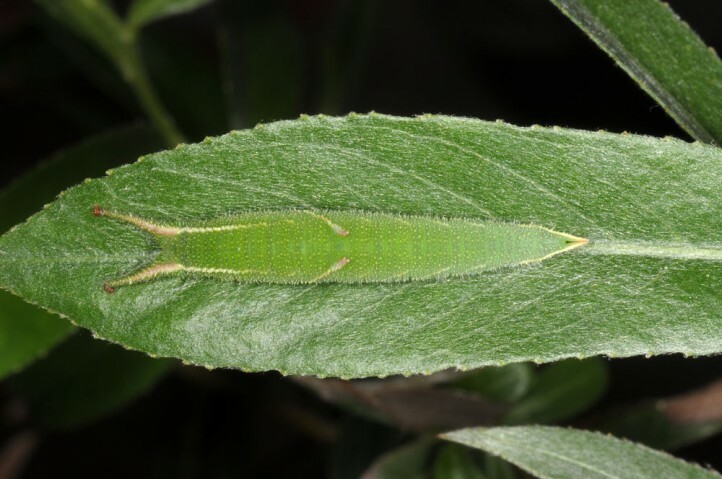 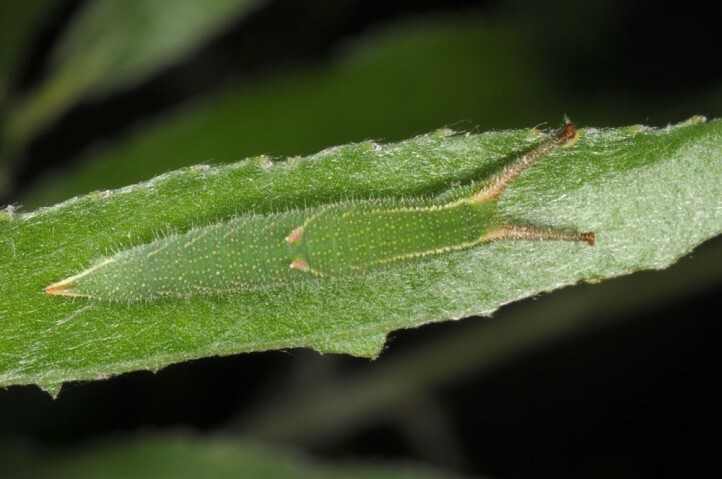 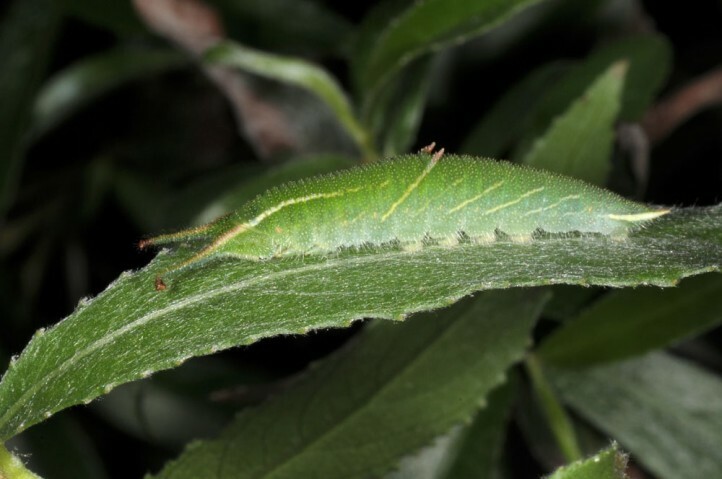 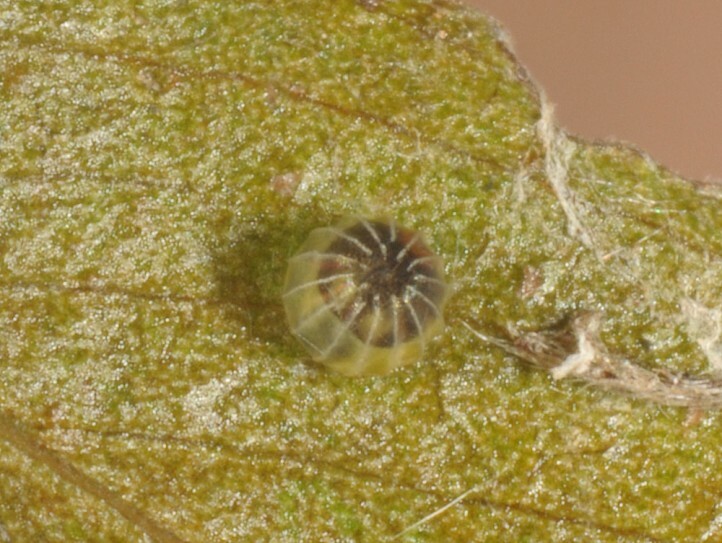 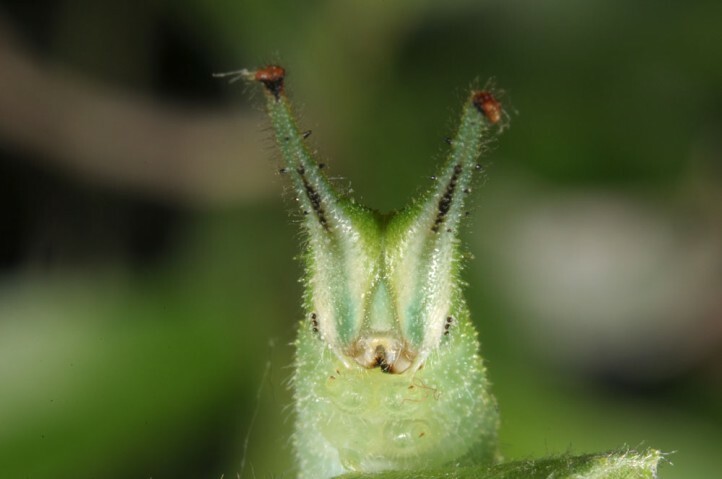 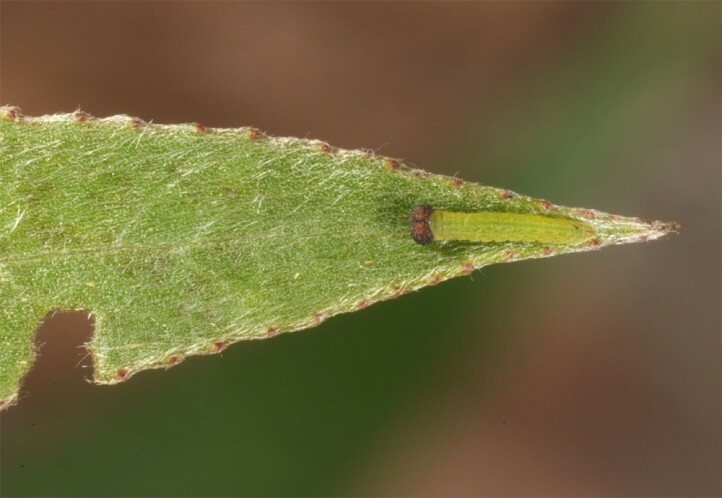 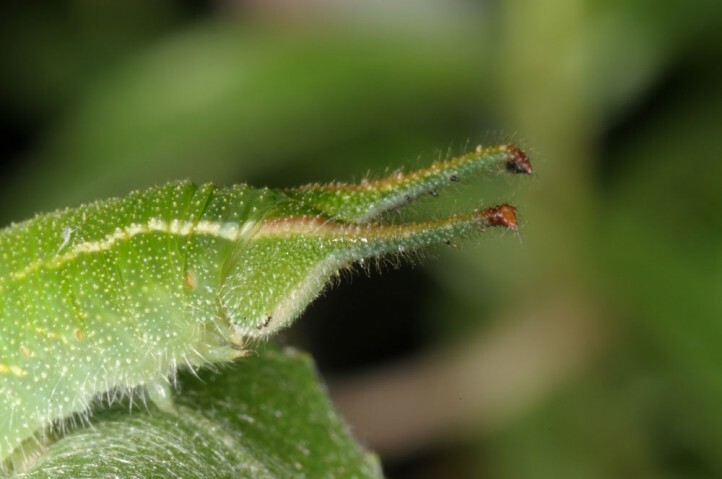 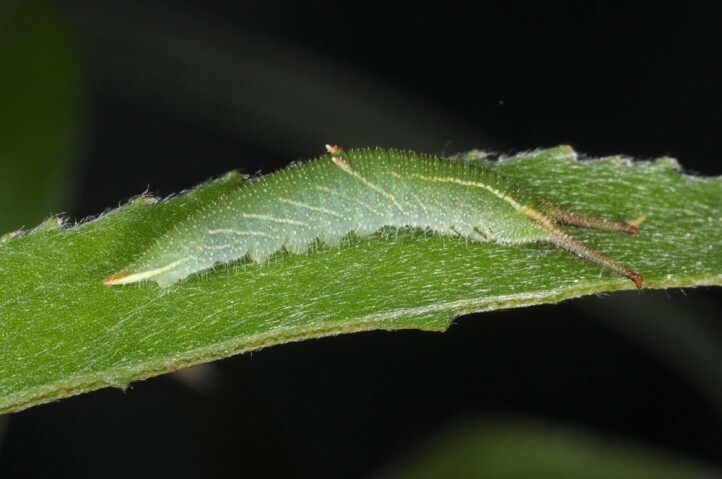 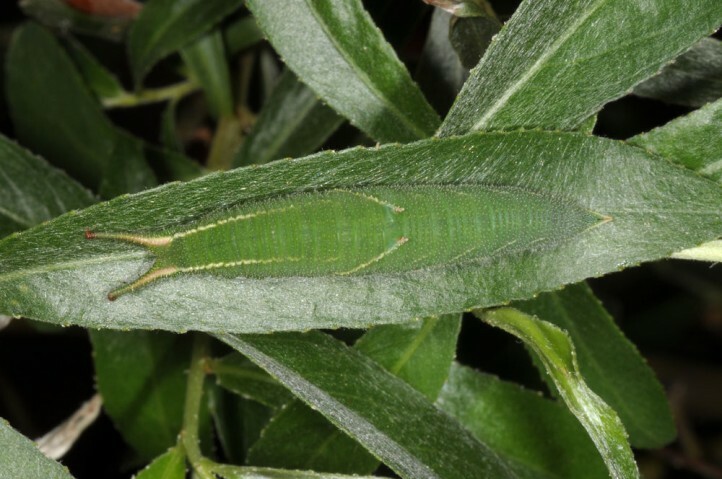 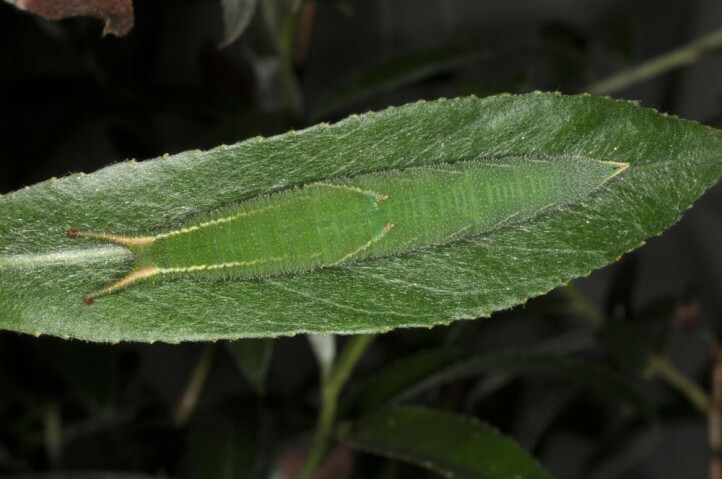 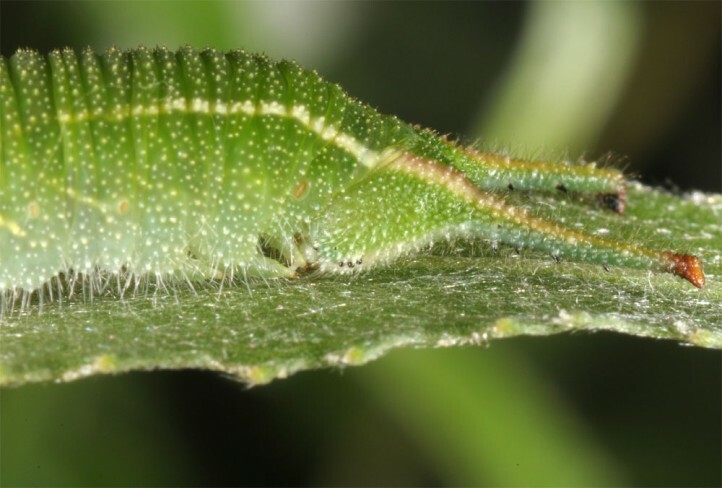 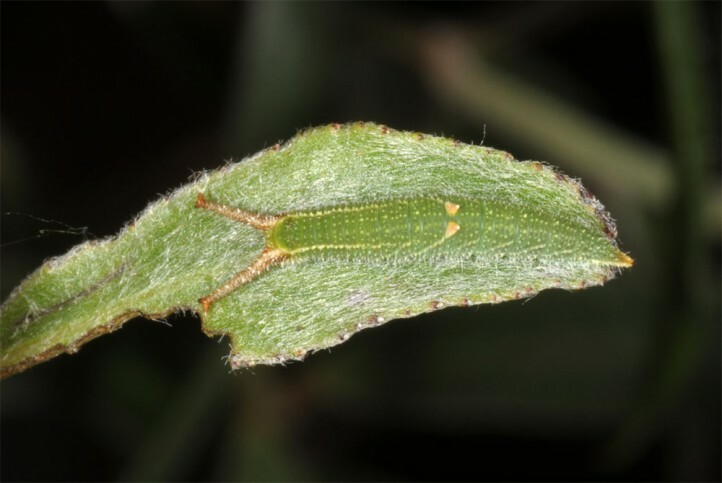 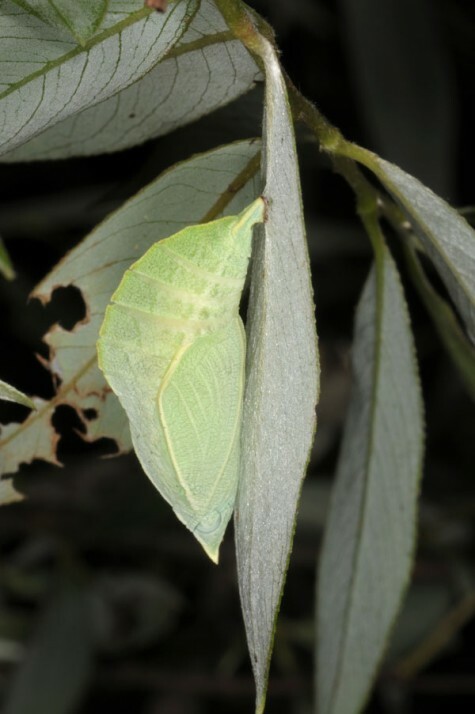 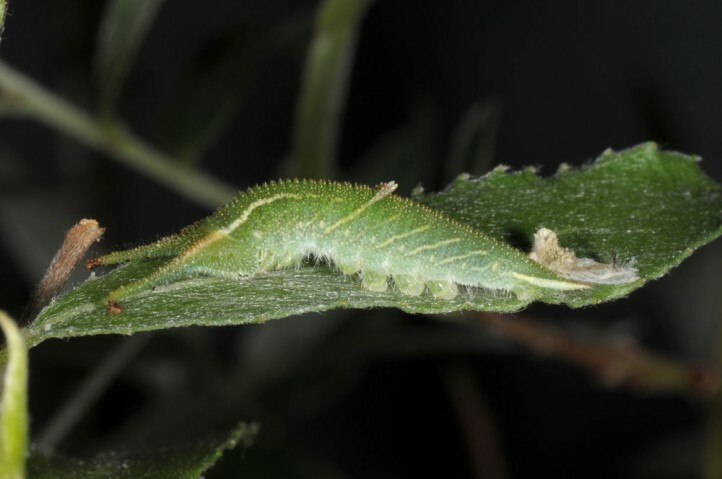 The larva develops on a webbed seat pad on the upper side of the leaf. 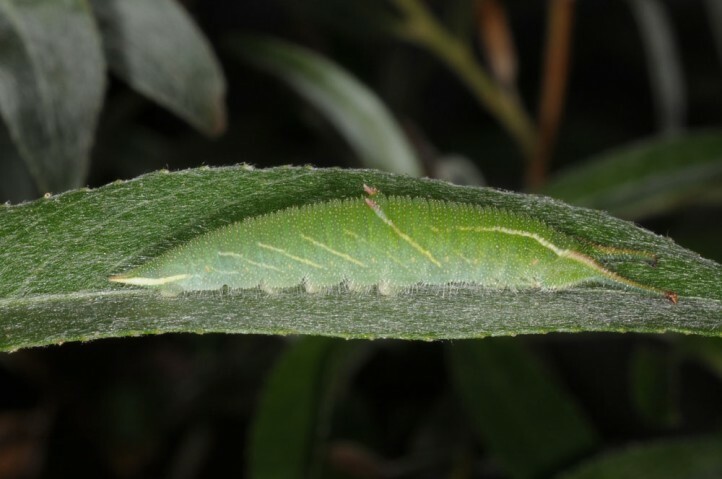 Hibernation occurs after the second moult on twigs and the trunk (where exactly seems not having been explored yet sufficiently in the field). 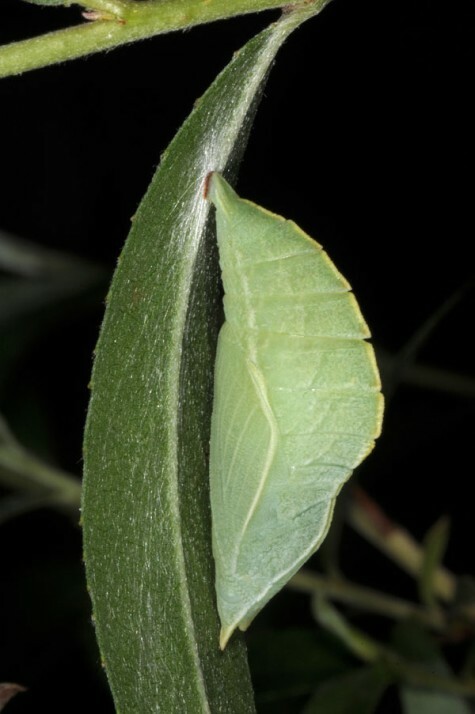 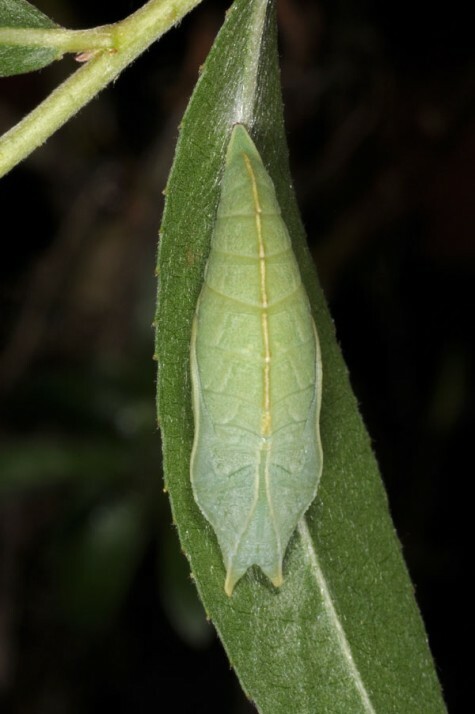 Pupation takes place on the lower side of a leaf. 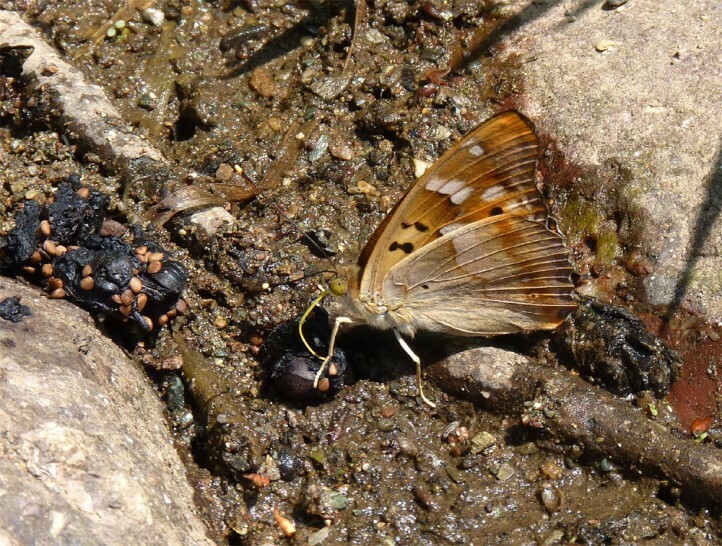 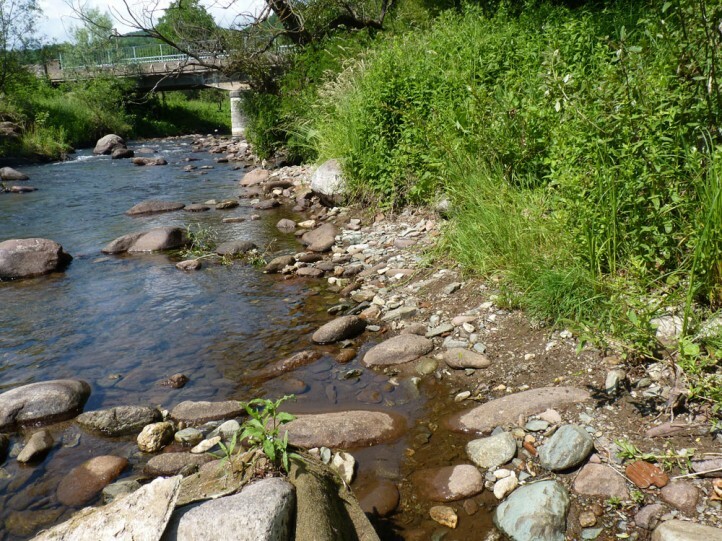 Locally Apatura metis is endangered by destroyment of floodplain woodland. 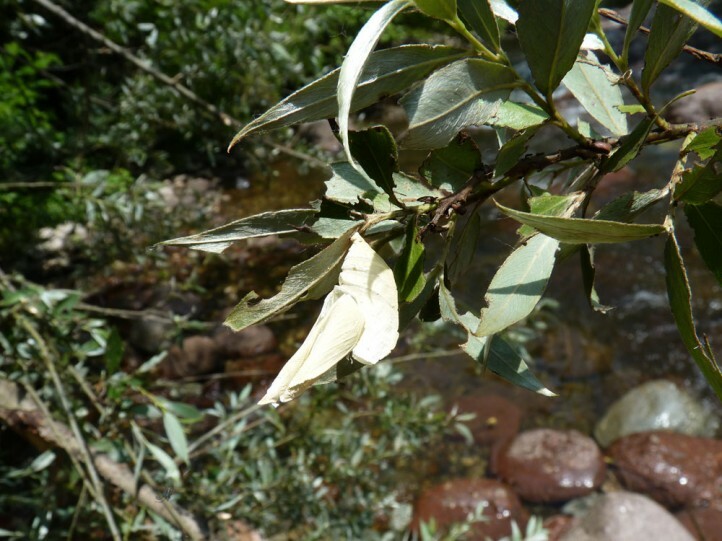 But at the moment it still occurs in many not severely threatened places. 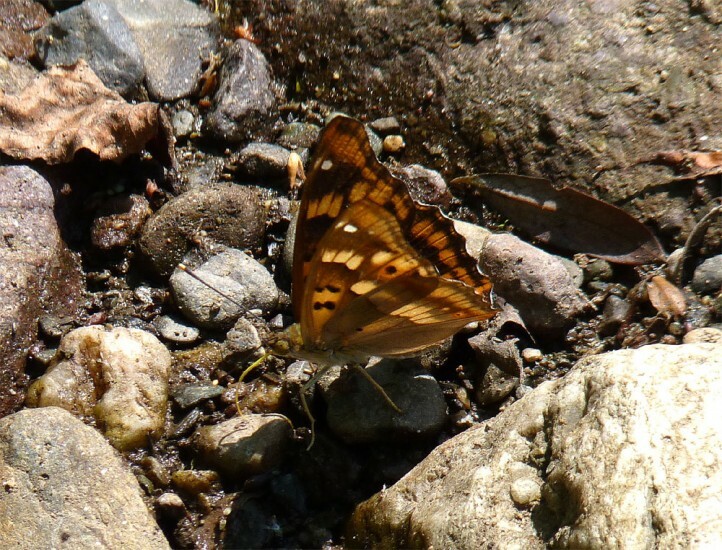 Apatura metis occurs locally from SE-Europe (from S-Hungary and Croatia to Albania, FYROM, N-Greece, Bulgaria and Romania) to E-Asia (Japan: ssp. 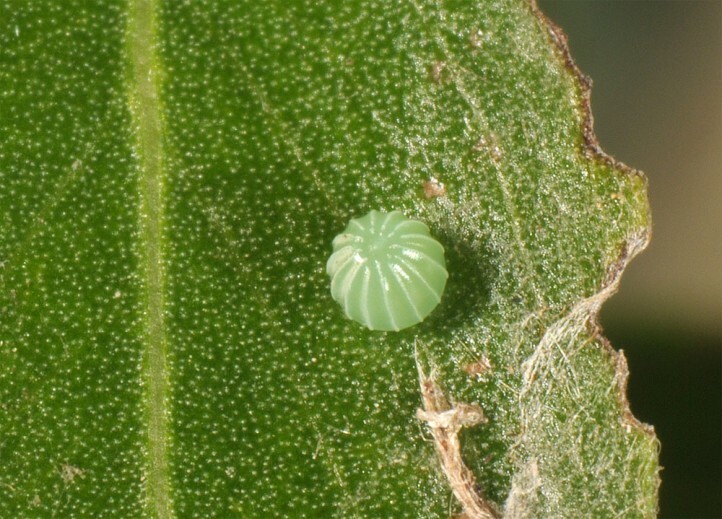 substituta). 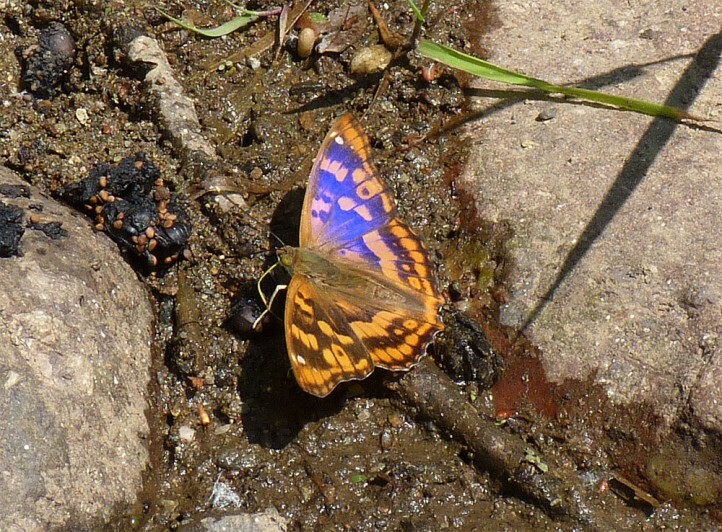 Apatura metis is missing in many areas of this vast range. 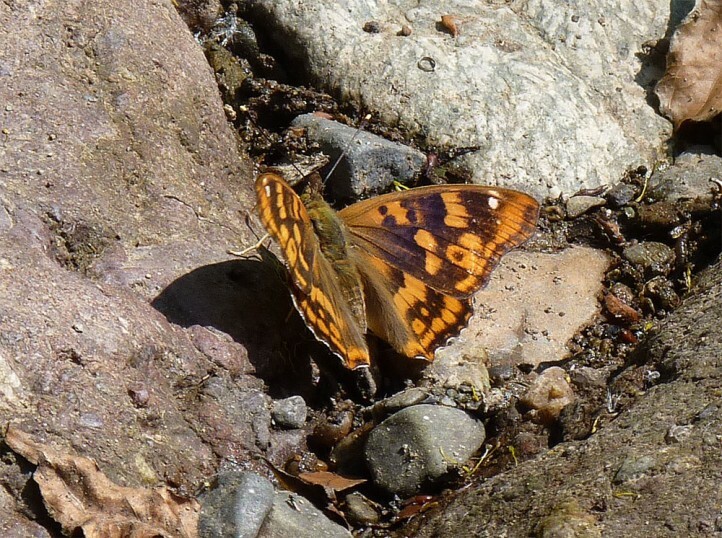 Between SE-Europe and E-Asia (where Apatura metis is a bit more common from the Amur region to Korea and Japan) only a few distribution areas are known, e.g. 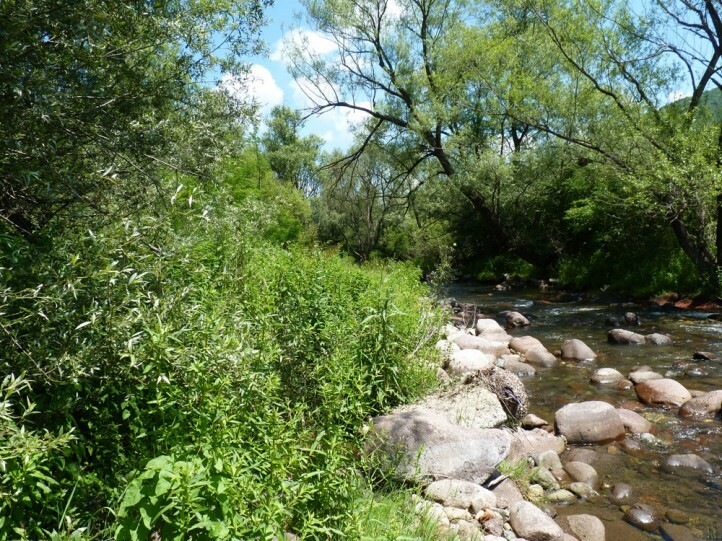 in the lower Wolga region, N-Kaukasus, Kazakhstan or Transbaikalia.